Of late, there has been a great deal of discussion regarding the DNA of the American Indian populations. Most recent findings have suggested an Asian origin for these populations which some feel invalidates the claims of the Book of Mormon. Since DNA science is still in its infancy, these findings may change or be reversed in the future. However, is it possible that these results actually validate the claims of the book. I think so! When viewed in the proper manner, DNA results do tend to prove the truth of the Book of Mormon. How so? According to the Book of Ether, the Jaredite civilization was the greatest the world has ever known. In their 2000 year history they spread all over North America from Nicaragua in the south, to possibly Canada in the north. A Jaredite colony may have even populated Peru, establishing the advanced civilizations there. The Book of Ether itself describes only the local history of the tribe of Jared, not all the Jaredite offshoots. This local group was annihilated about 300 BC in a final great battle at Cumorah. 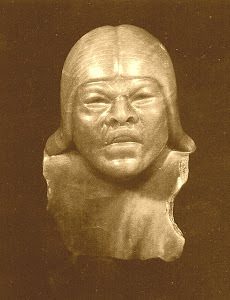 However the greater Jaredite civilization survived, more or less, although there was a general cultural decline at this time throughout the Americas as evidenced by the history of the Olmec. The Nephites had settled in an isolated area south of the main Jaredite centers and to our knowledge had little contact with the Jaredite remnants. The Jaredites regarded the Nephite area as a “wilderness” which they reserved for hunting (at least until about 300 BC). 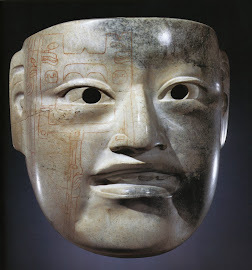 When Mormon and his people retreated northward to Cumorah for their final battle, they couldn't escape farther north because of the Jaredite remnants (whom we know as Aztecs, Toltecs, Maya, etc.). These remnants were as hostile as the Lamanites, so they had to make a last stand at Cumorah. Following the Nephite demise, the surviving Lamanites intermingled more or less, with the majority of the remnant Jaredites, resulting in the multitude of tribes and peoples that the Europeans found when they invaded the Americas. The Jaredites were of Asiatic extraction, so it is only natural that their descendants would show dominant Asiatic DNA. Therefore, from this viewpoint, the DNA results tend to validate the veracity of the Book of Mormon.